The Enoch Pratt Free Library located in Baltimore Maryland is using their new SMA SCAN MASTER 0 Scanner to scan a wide range of archival material for Digital Maryland, creating access of treasured historic materials. Digital Scanning & Microfilm Equipment – DS & ME in conjunction with Micrographic Engineering Services – MES of Sydney & Canberra is pleased & VERY EXCITED to be able to announce the receipt of a Purchase Order from the SRA NSW – State Records Authority of New South Wales – Government Records Repository for a for an SMA Electronic Document GmbH VersaScan model 4870 Double A0 Plus Flatbed Scanner for deliver in February 2018. DS & ME in conjunction with Micrographic Engineering Services – MES of Sydney & Canberra wish to announce the successful installation of TWO- SMA model ScanMaster Scanners plus a QIDENUS model ROBOTIC Scanner in the ACT. Digital Scanning & Microfilm Equipment – DS & ME are pleased & enthusiastic to be able to provide the announcement from SMA Electronic Document GmbH of Germany of the incorporation of the NEW GIANT LEAP FORWARD in the Imaging Industry with the release of the V3D which stands for VISUAL 3D = 3D LIKE Scanning Feature on their SCAN MASTER models 0 = A0+ – 1 = A1+ & 2 = A2+ and the VERSASCAN Book & Large Format Scanner Range starting at A1 & then A1 & A0 & then with the recent manufacture of a specialised customised scanner for originals up to 48 = 1,219mm wide x 100 inches = 2,540mm long which is much larger than DOUBLE A 0. 48 wide = 1,219mm x 100 inches = 2,540mm long. The whole SMA Book & Flatbed Scanner Range now incorporates the this NEW V3D which stands for VISUAL 3D = 3D LIKE Scanning Feature to capture surface contours and produce 3D-LIKE surface recognition images, which are very natural looking images of the highest quality. This NEW V3D which stands for VISUAL 3D = 3D LIKE Scanning Feature can be implemented for a wide variety of surface control and presentation applications. 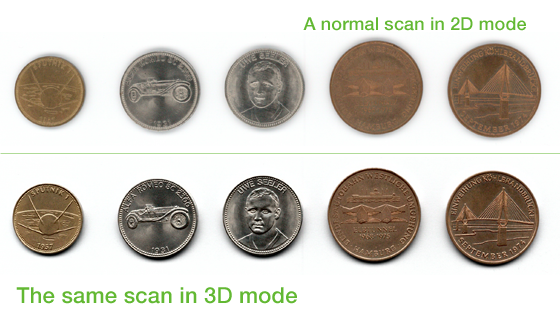 The NEW V3D which stands for VISUAL 3D = 3D LIKE Scanning Feature is a feature you have to see for yourself to believe. How does the NEW V3D which stands for VISUAL 3D = 3D LIKE Scanning Feature work? 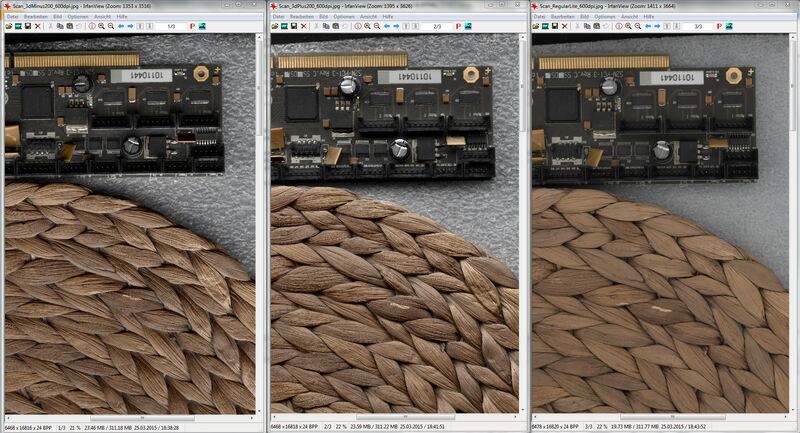 The firmware then merges all THREE-3 images. That’s why the NEW V3D which stands for VISUAL 3D = 3D LIKE Scanning Feature looks 3D-LIKE. The NEW V3D which stands for VISUAL 3D = 3D LIKE Scanning Feature provides the operator with a major advantage when it comes to structured surfaces or things like metal, seals or anything that is shiny or reflective. Sometimes there are golden or silver like prints located in books requiring scanning. When scanned with an overhead scanner the image created looks very unusual & of poor quality. The viewer can’t even see in the scan what the original was like as the metal effect disappears and is turned into grey or dark yellow or beige. Even with the previous SMA models the MAP MASTER now called the VERSASCAN & SCAN MASTER the Coins as shown in the attached SMA VersaScan 2D V 2.5D Scanning Sample of the FIVE-5 Coins scanned in 2D Mode are less clear than the coins captured using the NEW V3D which stands for VISUAL 3D = 3D LIKE Scanning mode. With the NEW V3D which stands for VISUAL 3D = 3D LIKE Scanning Feature scanning the gold, silver & copper coins & images in Books appear more true to the original! Many Library & Archival Institutions are aware of this problem and are searching for a solution to be able to capture these difficult NEW V3D which stands for VISUAL 3D = 3D LIKE Scanning Feature provides that solution. The SMA SCAN MASTER & MAP MASTER Scan & Copy System – ROBO SCAN Scanners, Digitisers & Imagers are installed in the major archival institutions internationally for the scanning of Oversize Material such as Oversize Material such as Bound Book/s, Large Format / Fragile Engineering & other types of Drawing/s, Map/s, Plan/s, Papyrus, & also Book/s, Atlas/s, etc. plus Professional Cartography applications of all sizes up to & including DOUBLE A 0 + or 2,540 X 915 mm = ( 100 X 36 inch’s ) in size. The SMA ROBO SCAN in operation 1. The SMA ROBO SCAN in operation 2. Intensive collaboration between SMA Electronic Document GmbH and intranda GmbH has borne fruit in the shape of an automated control system for robotic scanners based on the Universal SMA Electronic Document GmbH Capturing Client ( UCC ). The two companies joined forces to present the new control system at SMA’s stand during the 2014 Librarianship Conference in Bremen. As the demonstrations showed, the UCC dealt comfortably with the task of capturing structure data, while the ROBO SCAN 1 impressed visitors with its fully automated page-turning technology. Thanks to the incorporation of UCC functionality into SMA’s hardware, users can now capture structure elements during the actual scanning process. The combined system also permits asynchronous indexing while other parts of the source work are still being scanned. Plans are already being drawn up to develop further customised UCC features for SMA’s Oversize Material book scanners, flatbed scanners and robotic scanners. This collaboration will open up a whole range of new and previously unimaginable possibilities in the field of digitisation. Before you decide on an Appropriate Scanner for the scanning of your Valuable & in many instances Irreplaceable Oversize Material such as Bound Book/s, Large Format / Fragile Engineering & other types of Drawing/s, Map/s, Plan/s etc. 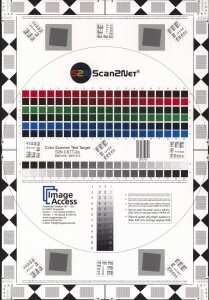 plus Professional Cartography applications you may wish to review an A3 Size Colour Resolution Test Target scanned at 1,200 – 600 – 400 – 300 – 200 – & 150 DPI – Dots Per Inch as Pure Uncompressed .TIFF – Tagged Image File Format files produced on the Superior SMA MASTER SERIES of Scanners from DS & ME. 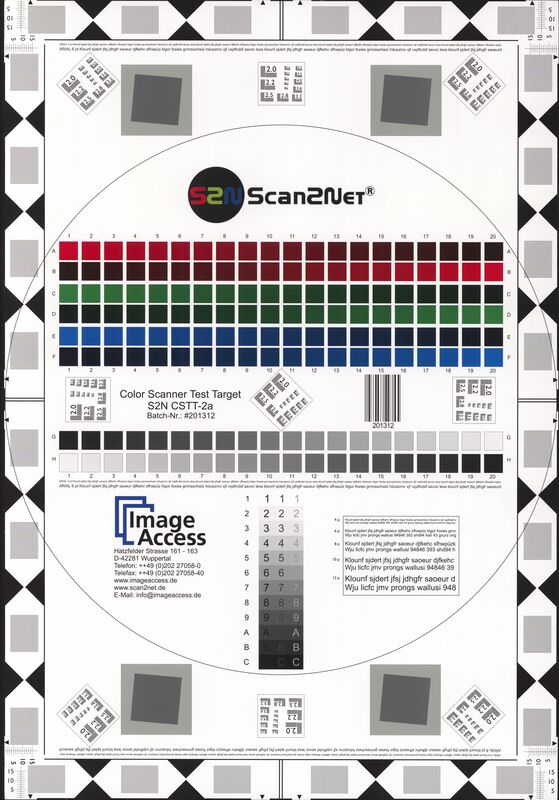 The A3 Colour Test Target includes NINE – 9 of the ISO Scanner Resolution Test Chart No. 2 with each Resolution Set consisting of FIVE-5 black lines separated by FOUR-4 white lines in various sizes. In its original Uncompressed .TIFF format this image scanned on the SMA model SCAN MASTER 1 – A1 Scanner of a Sample image of an Image Access S2N - A3 size Test Target was scanned @ 300 DPI - Dots Per Inch creating a 51.5 MB Size File. SPECIAL NOTE: This image above is a Compressed .JPG File which is now compressed down to 2.12 MB in size which by the Lossy Compression Nature of .JPG does not truly represent the Uncompressed .TIFF format Scanned Image produced from the SMA model SCAN MASTER 1 – A1 Scanner @ 300 DPI - Dots Per Inch. In its original Uncompressed .TIFF format this image scanned on the SMA model SCAN MASTER 1 – A1 Scanner of a Sample image of an Image Access S2N - A3 size Test Target was scanned @ 600 DPI - Dots Per Inch creating a 206 MB Size File. SPECIAL NOTE: This image above is a Compressed .JPG File which is now compressed down to 7.8 MB in size which by the Lossy Compression Nature of .JPG does not truly represent the Uncompressed .TIFF format Scanned Image produced from the SMA model SCAN MASTER 1 – A1 Scanner @ 600 DPI - Dots Per Inch . Contact Laurie Varendorff via email @ Laurie Varendorff ARMA; or Phone: Australia @ 0417 094 147 0417 094 147 – International @ +61 417 094 147 +61 417 094 147 at Digital Scanning & Microfilm Equipment – DS & ME and Laurie will provide you with the copies of the Original Uncompressed .TIFF format Sample Images scanned at 1,200 – 600 – 400 – 300 – 200 & 150 DPI - Dots Per Inch. In addition the A3 Colour Test Target includes a range of Grayscale Step Tests along with various Font Sizes ranging from a TWELVE-12 point ( pt ) size E.G. 12pt down to FOUR-4 point ( pt ) size E.G. 4pt. 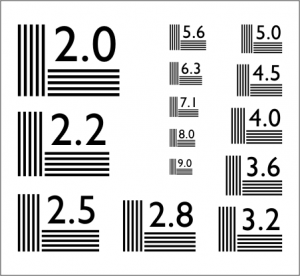 The number 2.0 for example, means that there are two line pairs ( TWO-2 black ones and TWO-2 white ones ) per mm which equals a VERY LOW RESOLUTION. The number 9.0 for example, means that there are NINE line pairs ( NINE-9 black ones and NINE-9 white ones ) per mm which equals an EXTREMELY HIGH RESOLUTION. Should you request the set of Sample images from DS & ME the first thing you will note is that the .TIFF images produced on the SMA MASTER SERIES of Scanners are all at the upper end of the range & thus producing EXTREMELY HIGH RESOLUTION images all the way form 300 DPI through to 1,200 DPI. This is the type of quality image you should expect from the scanner you choose for the scanning of your Valuable & in many instances Irreplaceable Material. Contact Laurie Varendorff via email @ Laurie Varendorff ARMA; or Phone: Australia @ 0417 094 147 0417 094 147 – International @ +61 417 094 147 +61 417 094 147 at Digital Scanning & Microfilm Equipment – DS & ME and Laurie will provide you with the copies of the Original Uncompressed .TIFF format Sample Images scanned at 1,200 – 600 – 400 – 300 – 200 & 150 DPI - Dots Per Inch. Digital Scanning & Microfilm Equipment – DS & ME the SOLE Australian Distributor of the SMA Range of Oversize Material such as Book & Large Format Scanners has received an order for the supply of an SMA MAP MASTER XXL – Extra Large Format Document Scanner for the scanning of Large Format / Fragile Engineering & other types of Drawing/s, Map/s, Plan/s etc. plus Professional Cartography applications with a Scanning Range of DOUBLE A 0 + ( 2,540 x 915 mm = 100 x 36 Inches in size ) from the State Records Office of New South Wales via our Greater Sydney Metropolitan Area – Authorised Reseller & Technical Service Agent – David Manche of Micrographic Engineering Services – MES. Digital Scanning & Microfilm Equipment – DS & ME & SMA Electronic Document GmbH installed one the World’s Greatest, PROVEN & SUCCESSFUL Large Format A 1 Plus Oversize Material Book Scanners the SMA model SCAN MASTER 1 for the scanning of Oversize Material such as Bound Book/s, Large Format / Fragile Engineering & other types of Drawing/s, Map/s, Plan/s etc. plus Professional Cartography applications in MITCHELL – ACT with the National Archives of Australia – NAA. 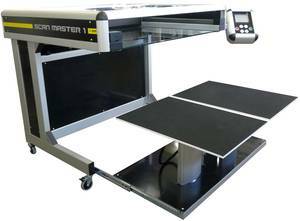 The SMA SCAN MASTER 1 – A 1 PLUS Size Oversize Material Book & Large Format Document Scanner for the scanning of Oversize Material such as Bound Book / s, Large Format / Fragile Engineering & other types of Drawing/s, Map/s, Plan/s etc. plus Professional Cartography applications installed with the National Archive of Australia – NAA in MITCHELL – ACT has a Scanning Range of up to 915 X 635 mm = ( 36 X 25 inches ) in size. 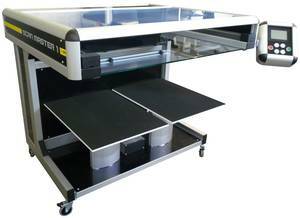 The SMA SCAN MASTER 1 – A 1 PLUS Size Oversize Material Book & Large Format Document Scanner for the scanning of Oversize Material such as Bound Book/s, Large Format / Fragile Engineering & other types of Drawing/s, Map/s, Plan/s etc. plus Professional Cartography applications installed with the National Archive of Australia – NAA in MITCHELL – ACT has a Scanning Range of up to 915 X 635 mm = ( 36 X 25 inches ) in size. The Library & Archives Canada has recently purchased an SMA model SCAN MASTER 0. The SMA model SCAN MASTER 0 was the only A 0 scanner that met all of the Library & Archives of Canada requirements. SMA are proud to announce that an SMA model MAP MASTER XL was chosen by a Norwegian Service Bureau to digitize their collection of Large Format / Fragile Engineering & other types of Drawing/s, Map/s, Plan/s etc. plus Professional Cartography and other originals. A major application for this Norwegian Service Bureau is to scan original paintings in order to reproduce prints for the commercial retail market. 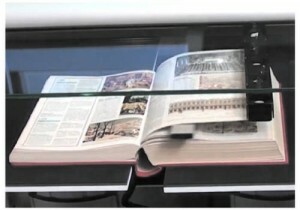 The Manuscript Library in Tbilisi, Georgia decided to buy an A 1 book scanner in order to digitize their valuable manuscripts. High resolution and gentle treatment of the Oversize Material such as Book/s were their main priorities. After evaluating the market the decision was made to acquire a SMA SCAN MASTER 1. After successful installations of SMA scanners in Southern Russia, North Western Iran and East Turkey SMA continues to strengthen their position in the Caucasus. The Spartanburg County Public Library needed an A 0 Oversize Material book scanner to digitize their archives. After an extensive evaluation of their options they visited the Maryland State Archives which has been an SMA SCAN MASTER 0 user for years. After an intensive demonstration of the scanner and several tests it was obvious that the SMA SCAN MASTER 0 had significant advantages over all other A 0 book scanners. SMA are happy to welcome another SMA SCAN MASTER 0 user in North America! The Land Survey Office in Switzerland was looking for a high resolution large format scanner to digitize all their maps and prints. Due to their requirement for very high geometric and dimensional accuracy a sheet feed system was not a viable option. 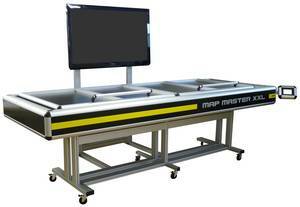 After very precise in depth scanning tests with different geometric test targets and color matching charts the decision was made to purchase a MAP MASTER XL for the scanning of Large Format / Fragile Engineering & other types of Drawing/s, Map/s, Plan/s etc. plus Professional Cartography applications . Other vendors were not able to meet the Land Survey Office in Switzerland’s criteria & expectations. 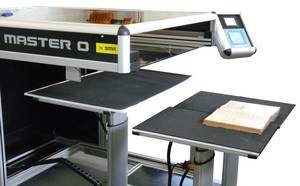 SMA are proud to announce that that they recently supplied another SCAN MASTER A 2 Oversize Material Book Scanner for the scanning of Oversize Material such as Bound Book/s, Large Format / Fragile Engineering & other types of Drawing/s, Map/s, Plan/s etc. plus Professional Cartography applications to the National Archives & Library in Addis Ababa. SMA proudly announces that the Guyana Geology and Mines Commission has chosen a SCAN MASTER 0 for the digitizing all their mining records plus Engineering Drawing / s, Map / s & Plan / s.
The SMA SCAN MASTER 0 was Guyana Geology and Mines Commission preferred choice as the SMA SCAN MASTER 0 can equally handle both Oversize Material such as Bound Book/s plus very fragile single sheet originals at 1,270 X 915 mm = ( 50 X 36 inches ) in size- at a resolution that is unmatched in the Scanning / Digitizing Industry! The SMA SCAN MASTER 0 – Oversize Material Document, Book & Map Scanner with High Quality Colour Scanning Technology for Bi-tonal, Grey Scale or Colour Images for the scanning of Oversize Material such as Bound Book/s, Large Format / Fragile Engineering & other types of Drawing/s, Map/s, Plan/s etc. plus Professional Cartography applications with a scan speed of 12 seconds ( A 0 +, 600 DPI ) it is the fastest scanner of its kind. DS & ME represent the Cream of the Crop of manufacturers of these Oversize Material Book & Large plus EXTRA LARGE Format Scanner Products e.g. SMA Electronic Document GmbH of Germany. SMA exhibits its NEW & very exciting Automated Page Turning Revolution the ROBO SCAN 1 for the SMA SCAN MASTER 1 Oversize Material Book Scanner - The First Large Format Robotic Scanner for the automatic scanning of Oversize Material such as Bound Book/s applications in the Market! Details of the ROBO SCAN 1 with images of the Automated Page Turning process in operation are available online @ The First Large Format Robotic Scanner in the Market! The SMA NEW & very exciting Automated Page Turning revolution the ROBO SCAN 1 also has a YouTube Video showing the ROBO SCAN 1 in operation @ CeBIT 2014. 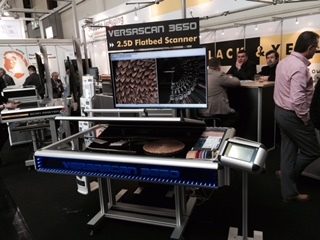 You may care to review the ROBO SCAN 1 Video ROBO SCAN 1 @CeBIT 2014 below. Digital Scanning & Microfilm Equipment – DS & ME & SMA Electronic Document GmbH installed one of the World’s Greatest, PROVEN & SUCCESSFUL Large Format A 0 Plus Oversize Material Book Scanners the SMA model SCAN MASTER 0 for the scanning of Oversize Material such as Bound Book/s, Large Format / Fragile Engineering & other types of Drawing/s, Map/s, Plan/s etc. plus Professional Cartography applications at the University of Queensland Library – UQ Library located on the University of Queensland’s – St Lucia Campus in Brisbane – Queensland – Australia. The SMA – SCAN MASTER 0 – A 0 PLUS Size Oversize Material Book & Large Format Document Scanner for the scanning of Oversize Material such as Bound Book/s, Large Format / Fragile Engineering & other types of Drawing/s, Map/s, Plan/s etc. plus Professional Cartography applications was installed with the University of Queensland Library – UQ Library – St Lucia Campus in Brisbane in early FEBRUARY 2014 has a Scanning Range of up to 1,270 X 915 mm = ( 50 X 36 inches ) in size. The installation of this SMA – SCAN MASTER 0 – A 0 PLUS Oversize Material Book & Large Format Document Scanner in early December 2013 will enable the University of Queensland Library – UQ Library to extend its digitisation program to include Oversize Material such as Book/s plus Large Format & Fragile Engineering & other types of Drawing/s, Map/s & Plan/s plus Large & Heavy Book/s up to 50 KG in weight. With the installation of this SMA – SCAN MASTER 0 – A 0 PLUS Oversize Material Book & Large Format Document Scanner with the University of Queensland Library – UQ Library this installation plus the order for an SMA model MAP MASTER XXL – Extra Large Format Document Scanner from the State Records Office of New South Wales brings the total number of SMA Electronic Document GmbH Oversize Material Book & Large Format Scanners installed across Australia & Oceania to EIGHT – 8 units. These installations are proof of the high level of quality & reliability attributed to the SMA Electronic Document GmbH Scanner Product Range by Professional Library & Archive Organisations not only here in Australia but internationally with many HUNDRED’S – 100′s of SMA Scanners installed World Wide. 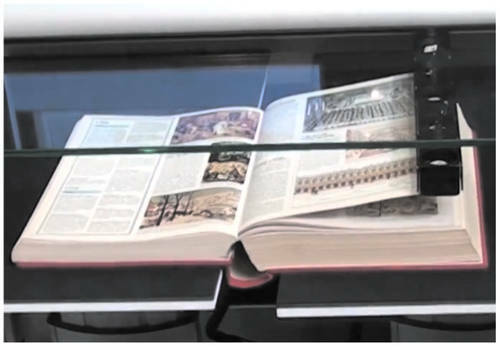 Digital Scanning & Microfilm Equipment – DS & ME & SMA Electronic Document GmbH installed one the World’s Greatest, PROVEN & SUCCESSFUL Large Format A 1 Plus Oversize Material Book Scanners the SMA model SCAN MASTER 1 in MITCHELL – ACT with the National Archives of Australia – NAA. 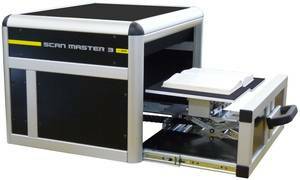 The SMA SCAN MASTER 1 – A 1 PLUS Oversize Material Book & Large Format Document Scanner for the scanning of Oversize Material such as Bound Book / s, Large Format / Fragile Engineering & other types of Drawing/s, Map/s, Plan/s etc. plus Professional Cartography applications installed with the National Archive of Australia – NAA in MITCHELL – ACT has a Scanning Range of up to 915 X 635 mm = ( 36 X 25 inches ) in size. The SMA SCAN MASTER 1 – A 1 PLUS Oversize Material Book & Large Format Document Scanner was installed to replace an older BookEye 3 – A 1 Book Scanner which has been put out to pasture. 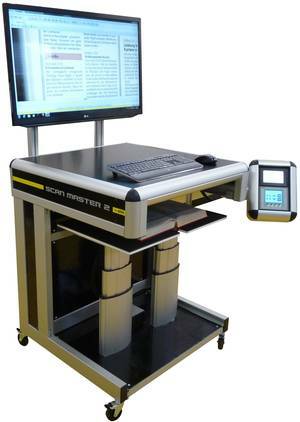 The SMA Electronic Document GmbH MASTER Series of Scanners are the BEST OPTION for Sensitive or Delicate and Fragile Oversize Material such as Book plus Large Document Original Material Scanning Applications due to many unique features incorporated into the design of the product. 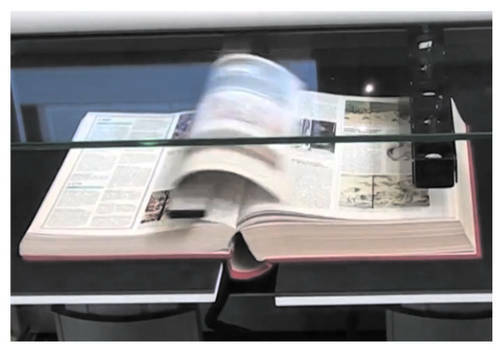 The SMA Electronic Document GmbH Master Series of Oversize Material Large Format Scanners is the ONLY Sensitive or Delicate and Fragile Book/s plus Large Documents Scanner manufactured that do not suffer deterioration of Image Quality due to several important factors: 1. 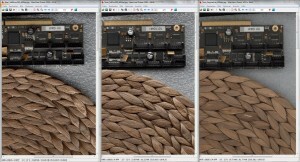 The distortion of the Image Quality due to the image sensor being located at some distance from the original material which causes image degradation. 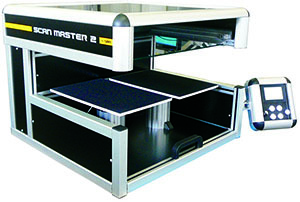 The SMA Master Series unique design minimises the distance from the scanner head to the Vacuum Sealed Camera Box inside the scanner unit that includes the Lens and CCD Array Assembly thus providing constant excellent image quality without distortions caused by distance from the original material as is the general practice with other equipment suppliers in the Scanning Industry. 2. The distortion of the Image Quality caused by ambient lighting either natural or from some other source e.g. Overhead Lighting with reflections and other characteristics being introduced to the digital images produced with the result that less than maximum quality digital images are produced. The SMA Master Series is the ONLY Sensitive or Delicate and Fragile Oversize Material Book plus Large Documents Scanner – World Wide that can operate independently without any ambient light effect contaminating the digital images produced. 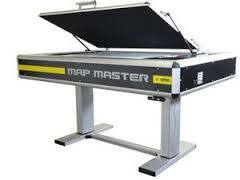 One can operate the SMA Master Series of Large Format Scanners that are designed for use with original material e.g. 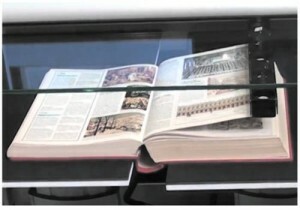 Fragile Oversize Material Book/s plus Large Documents in either a specialised scanning environment or out on the street with 100% daylight at midday without causing any detrimental effect to the extremely high quality digital images produced or to the original material being scanned. Digital Scanning & Microfilm Equipment – DME & SMA Electronic Document GmbH install one the World’s Greatest, PROVEN & SUCCESSFUL Large Format A 2 Plus Oversize Material Book Scanners the SMA model SCAN MASTER 2 in PARADISE – the Cook Islands. In mid-February Ralph Fuchs the Director of SMA Electronic Document GmbH & I travelled to the Cook Islands in the middle of the Pacific Ocean to install & train the clients staff on one the World’s Greatest, PROVEN & SUCCESSFUL Large Format A 2 Plus size Oversize Material Book Scanners the SMA model SCAN MASTER 2. The installation with the Cook Islands Governments – Ministry of Justice at Avarua, Rarotonga was the result for the requirement of a reliable, easy to use Large Format A 2 Plus Oversize Material Book Scanner to provide quality images of the Cook Islands historical & currently access fragile documents related to Land Tenure plus the Births, Deaths & Marriage documentation due to the potential deterioration of the paper material due to use & the high temperatures & humidity experienced. 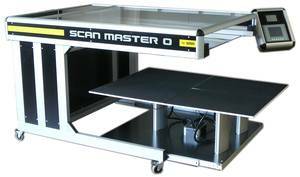 The SMA model SCAN MASTER 2 Large Format A 2 Plus Oversize Material Book Scanner was the product chosen to meet this requirement. Why is the SMA Electronic Document GmbH SMA SCAN MASTER 2 ideally suited to this application? The SMA Electronic Document GmbH SMA SCAN MASTER &: MAP MASTER range of Large Format Scanners are designed for use with Book/s & Fragile Documents of A 3 = 297 X 420 mm or 11.69 × 16.54 inches in size up to A 0 = 841 × 1189 mm or 33.11 × 46.81 inches in size. The SMA Electronic Document GmbH SMA SCAN MASTER &: MAP MASTER range of Large Format Scanners are the ONLY Oversize Material Book & Fragile Documents Scanners manufactured that do not suffer deterioration of Image Quality due to several important factors. 1. The loss of Image Quality due to the image sensor being miniaturised plus being located at some distance from the original material. 2. Distortion of the Image Quality due to the image sensor being located behind a lens which no matter the quality of the lens causes drop-off & the potential for hotspots in the images produced. 3. 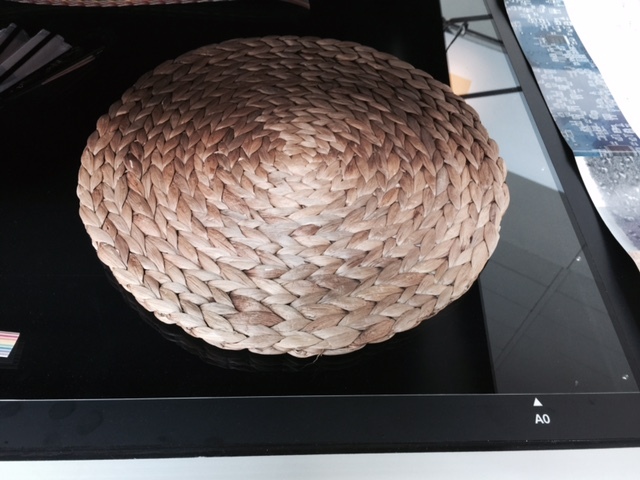 Distortion of the Image Quality caused by ambient lighting either natural or from some other source e.g. Overhead Lighting with reflections & other characteristics being introduced to the images produced with the result that less than maximum quality images are produced. The SMA SCAN MASTER & MAP MASTER range are in effect almost a contact imaging process where the Oversize Material such as Book/s & or Fragile Document/s are positioned extremely close to the flat full size of the origin width scanning CCD Array scanner head with only a layer of clear glass separating the Book & or Fragile Document from the CCD Array scanner head. What is the result of this Closed System of utilising a flat full size of the origin width scanning CCD Array scanner head against all other Oversize Material Large Format Book & Fragile Document Scanners? The image does not have to pass through a lens that can & does cause distortions [ which must be compensated for ] plus it does not have to be adjusted to compete with overhead lighting & or sunlight coming in via windows as the flat CCD Array scanner head has its own LED light source under the glass thus eliminating distortions caused by Lenses, Distance from the original or competition with overhead lighting required for the Operator to work in a friendly Occupational, Safety & Health – OS&H environment. 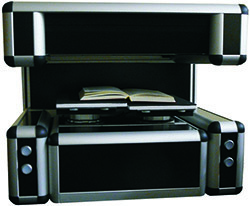 The SMA SCAN MASTER & MAP MASTER range of Oversize Material Large Format Book & Fragile Document Scanners produce superior image quality with no corner Lens Distortion induced drop off & the image information is picked up by a flat full size of the origin width scanning CCD Array scanner head & not a miniature CCD or CMOS thumb size Array scanner head with resultant image drop off due to the distance of the miniature CCD or CMOS thumb size Array scanner head from the original that can be anywhere from around a half [ ½ ] a metre to over a metre in distance. 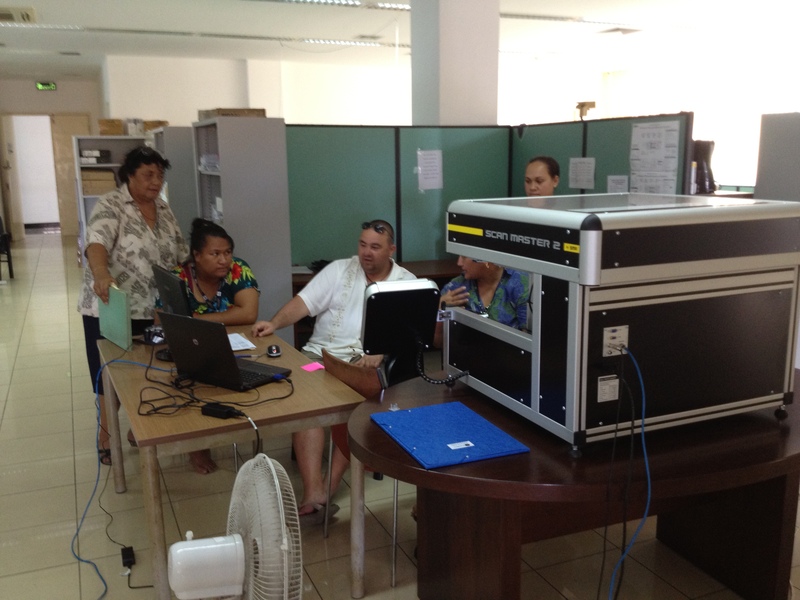 Here is a photo of Ralph Fuchs the Director of SMA Electronic Document GmbH providing operator training on the SMA model SCAN MASTER 2 Large Format A 2 Plus Oversize Material Book Scanner at the Cook Islands Governments – Ministry of Justice at Avarua, Rarotonga – the Cook Islands. 2009-August: Digital Microfilm Equipment – DME wishes to announce the introduction of the NEW – SMA model Map Master 0 Large Format Document Scanner designed for the Colour or Grey Scale Scanning of Large Format / Fragile Engineering & other types of Drawing/s, Map/s, Plan/s etc. plus Professional Cartography applications at true 600 Dots Per Inch – DPI resolution up to A 0 or 1,270 X 635 mm = ( 50 X 36 inches ) in size. The scan Speed is EIGHTEEN – 18 seconds for a full colour @ 600 DPI scan of an A 0 or 1,270 X 635 mm = ( 50 X 36 inches ) in size document. 2009-April: Digital Scanning & Microfilm Equipment – DS & ME announced the installation & acceptance of TWO – 2 SMA 21 – A 2 = 420 × 594 mm size & A 1 = 594 × 841 mm size Library – Public, University, Special Purpose & Reference & Archive Oversize Material Book & Fragile Document Scan & Copy Systems this past week manufactured by SMA Electronic Document GmbH located @ Wölfersheim in Germany. 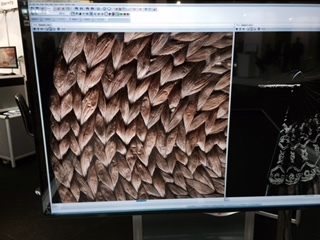 SMA 21 for Colour Scanning of Oversize Material such as Book/s & Document/s e.g. Engineering & other types of Drawing/s, Map/s & Plan/s up to A 2 in size & even A 1 bound newspapers.